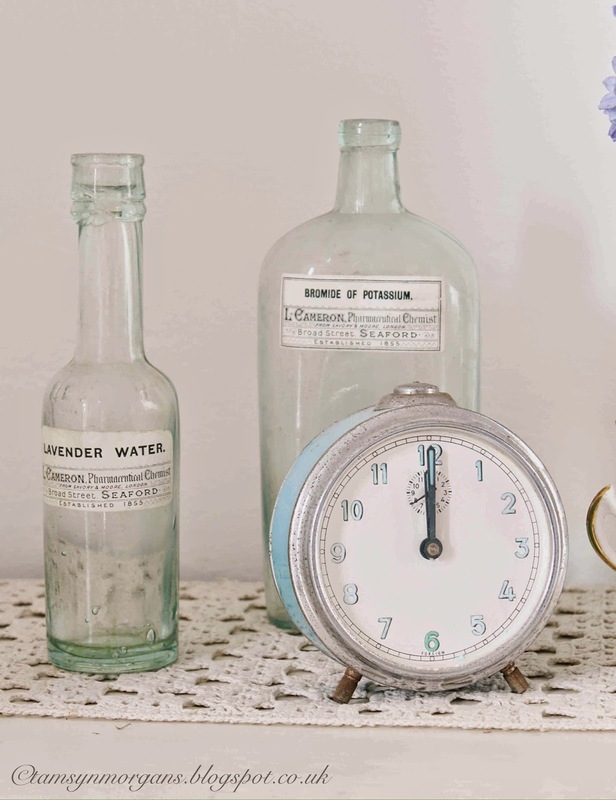 After decorating most surfaces with all things shiny for the festive period, I decided to keep it simple and pretty for this months Styling The Seasons post, and to use some of my favourite vintage finds – teacups, mint green bottles and my favourite little blue clock. 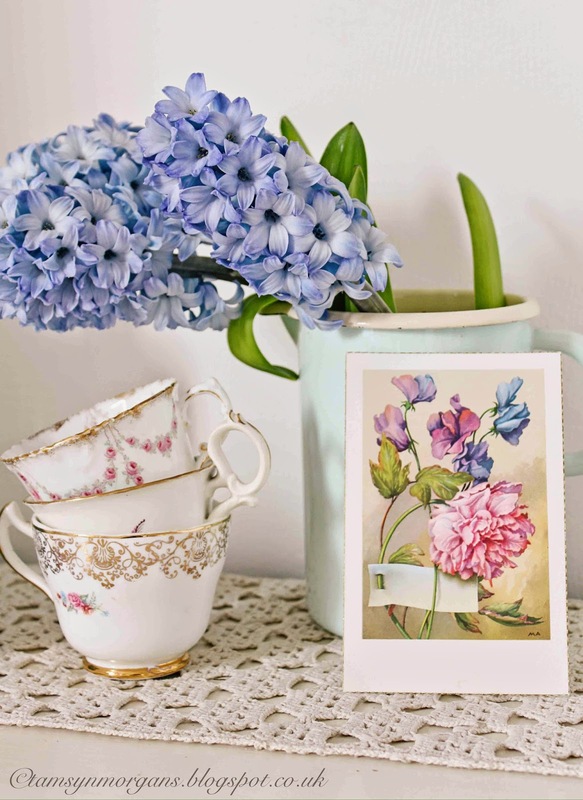 The gorgeous hyacinth were a very welcome sight in my supermarket – they smell divine and are a very welcome reminder that spring is not too far away now! 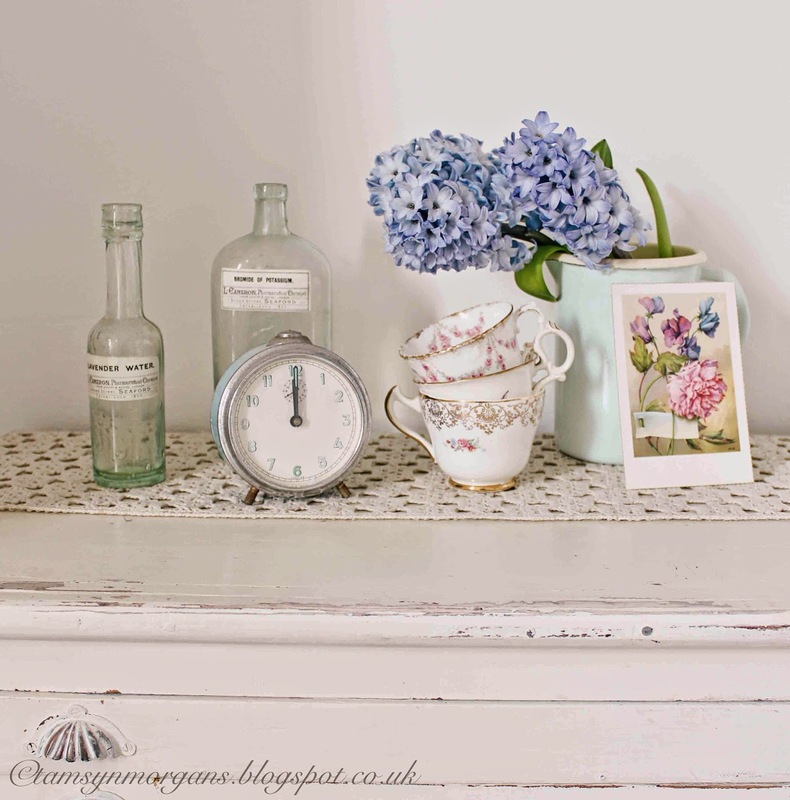 Anyone can take part in Styling The Seasons, either by uploading a picture to Instagram with the #StylingTheSeasons hashtag, or by making a blog post about decorating a surface in your home. You can see lots of beautiful and inspirational Styling The Seasons posts by heading over to Katy’s blog Apartment Apothecary, and Charlotte’s blog Lotts and Lots. I’m having some shelves put up in the craft room tomorrow – nice, big, wide shelves, so all my fabrics and craft paraphernalia have a new home! The challenge will be to make the shelves look beautiful as well as functional – watch this space!